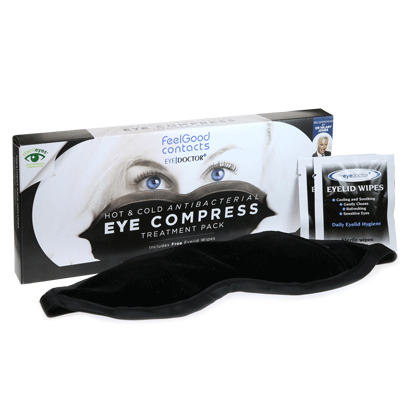 Treat a variety of eye conditions with The Eye Doctor eye mask, a high quality hot eye compress that offers fast, effective relief from dry eye, Blepharitis and more. The mask is filled with BodyBeads self-hydrating technology, which can be microwaved or heated in the oven. A Registered Class 1 Medical Device from The Body Doctor, The Eye Doctor is an effective treatment for eye conditions, including Blepharitis, dry eye, grittiness and irritation, blurred vision, light sensitivity and general inflammation. Following the provided instructions, heat The Eye Doctor in the microwave or oven before applying to your eyelids externally. Leave the mask on between 7 to 10 minutes, which will allow it to stimulate the surrounding glands and deliver exceptional relief from your symptoms. For added comfort, the mask features an adjustable strap for comfortable wear. 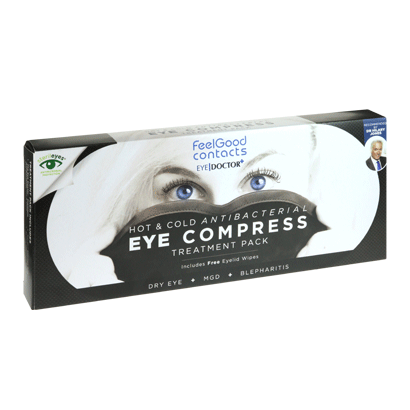 For all our other eye care accessories, browse our extensive range at FeelGoodContacts.com. For any questions, please don’t hesitate to contact our dedicated customer service team.